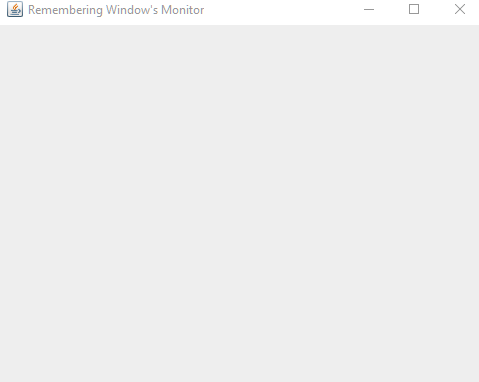 Following example shows how to remember screen of a JFrame, that is, when application is restarted, the frame is opened in the same screen/monitor where it was located the last time. For efficiency this example does not remember the exact position of the frame, but just the monitor index. After restarting the application the frame is opened in the same monitor.